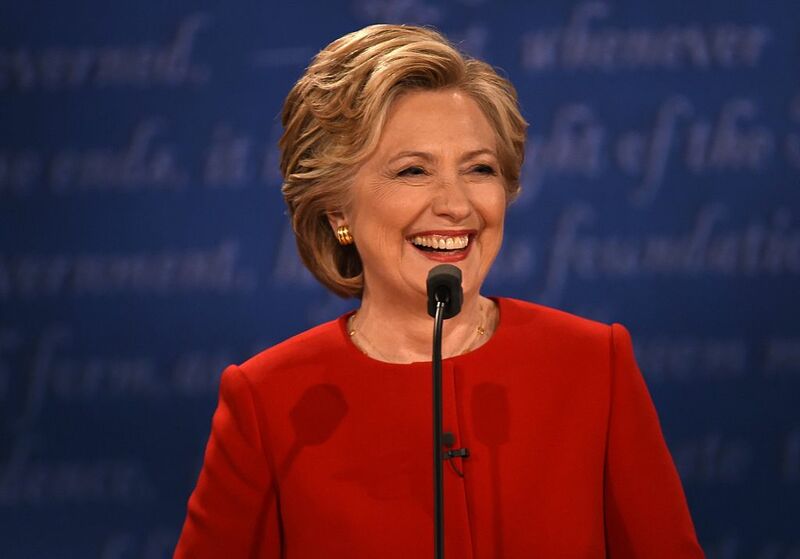 Whether or not you watched the first Presidential Debate between Hillary Clinton and Donald Trump last night, we’re willing to bet you’ve already heard the highlights. While our two Presidential nominees had plenty to say about policy, they also had plenty of zingers and jabs that fit perfectly into our Twitter feeds. The media HAS to stop staying HRC was "over-prepared." THERE. IS. NO. SUCH. THING. AS. BEING. OVER. PREPARED. TO. BE. PRESIDENT. Clearly, Clinton won the debate with just this sentence alone. Because when it comes to our Commander in Chief, there is no such thing as being “over-prepared” for the job. In general, it is easy for society to criticize women for seeming “over-prepared” or being “at home” too much and avoiding “real life” experience, which is what many think Trump may have been alluding to. As Clinton herself points out, however: There is nothing wrong with “staying home” if it means you’re better prepared to do your job the next day. Especially when that job is to be President.